While several dozen pottery factories churned out blue pottery in Delft in the seventeenth century, you can only find two open factories in the city now. Royal Delft and Delft Pauw are those two factories. You can read our review of Royal Delft here. These two options for the iconic Delft blue pottery could not be more different. The experience you will have at each is distinct, so I will try to give you an appreciation of the differences. Delft Pauw, however, is the antithesis. 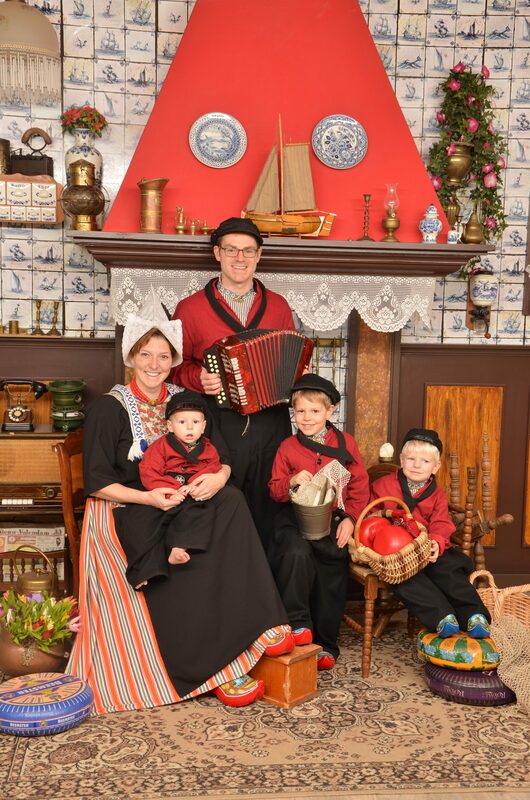 Delft Pauw is a family-run business that only creates hand-painted Delft pottery. The factory is small – the size of a large house – and the tour was intimate. Touted as available in seven languages, our free tour was a 15-minute rundown on the whole process. The tour guide showed us the molds, how the clay hardens, the firing process, the painting process and the glazing process. It’s truly fascinating. Some of the Delft Pauw artists paint at home, which I thought was a really interesting tidbit to know. Along the short tour route, thre are a few boards showing actual pieces of pottery in each stage of the process. You can see how the blue paint actually goes on black, then turns blue in the kiln. Delft Pauw’s signature items are multi-colored pieces. While most people think of Delft Blue pottery to be only blue and white, Delft Pauw’s full-color pieces are a sight to see. Delft Pauw does not have a cafe, but they do offer a painting workshop. For 35 Euros, you can spend two hours sandwiched in the painting workshop, among the painters. They teach you how to paint Delftware and you paint your own tile. This experience may not be suitable for all tourists, as you have to leave your tile to be fired in 7-14 days. The gift shop will package and ship your tile, for an additional fee. Both of Delft’s pottery factories have tour buses. The folks at Delft Pauw say that a normal day sees 40 tour buses, and a busy summer day might see 90 tour buses. They accommodate the seasonal influx by opening a second gift shop in some flexible space in their building. Both the Royal Delft and the Delft Pauw tours dump you into the gift shop at the end. I felt that this could be awkward for some people, but I felt totally comfortable in both gift shops. I have not felt any pressure from either company to buy products. Especially in Delft Pauw, with a free tour, I worried about purchasing pressure. Don’t worry – there was no hard sell. There was, however, a multitude of adorable pottery items. From plates to peacocks to tiles and earrings, you’ll find something you like. So Which Pottery Place Is Right For You? If you’ve got 2-3 hours for the Royal Delft Experience, go for it. Time your visit so you can enjoy a coffee and slice of apple tart in the cafe. 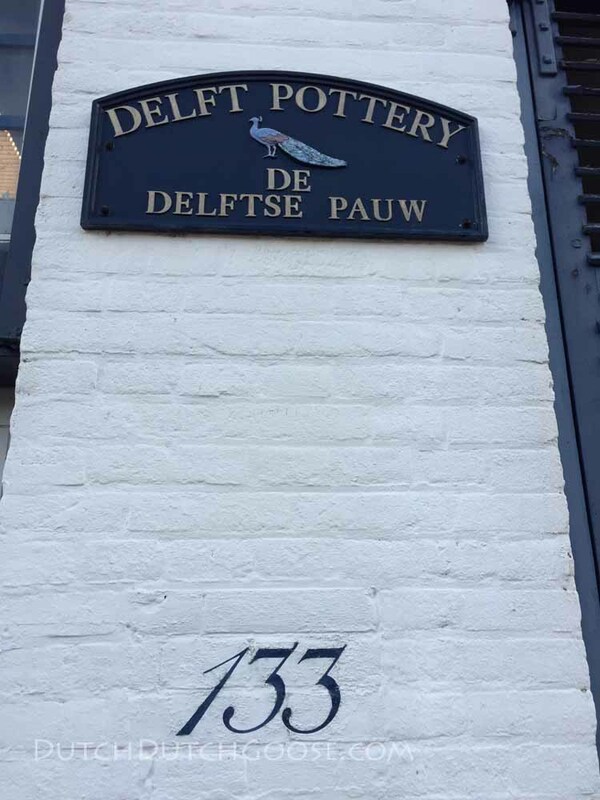 If you’re on a budget or only have a short time to devote to Delft pottery, choose Delft Pauw. You can be in-and-out in under an hour and if you time your tour right (at opening), you won’t have to deal with the crowded tour bus groups. Both pottery factories are outside the city center, by about the same distance. Both are easily reached by the Delft Taxi Shuttle or by public bus. Of course, the best way to reach a Delft pottery factory is by bicycle.